Of all the portable dual-purpose machines available today our Proline 3” combo is by far the most capable of putting in a full day’s work. It is equipped with a large reinforced hopper for increased capacity. 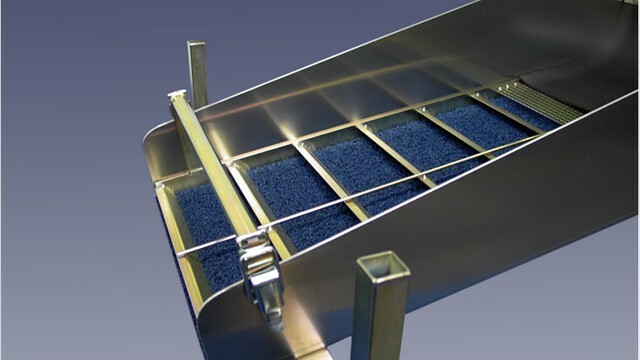 The two triple row spray bars ensure that all of the gravel, clay, roots, etc. are thoroughly washed and separated before running through the recovery system. The grizzley is designed to be strong yet surprisingly lightweight. Like all of our other grizzleys, it is removable to allow for easy access to the classifier and black “V” ribbed matting for inspection and/or cleanup. Also, if the combo is going to be operated solely as a dredge, the grizzley can be removed to save weight. The unit is powered by a Honda GX160 engine and our powerful HP300 pump. 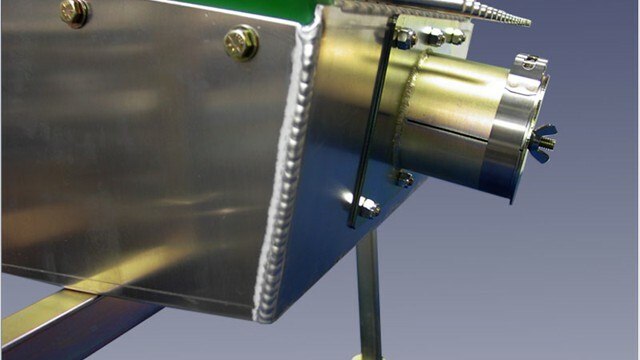 This is a higher pressure pump designed specifically for pushing water higher and further, making it ideal for high-banking. We supply 15 feet of dredge hose standard, however, many customers upgrade to a longer hose. Our use of a power jet provides maximum dredge vacuum with fewer rock jams compared to combos that rely in the old-fashioned, cumbersome, suction nozzles. This combo can be equipped with an air compressor kit, just like our 3” dredge, if you wish to increase your dredging productivity. It’s no surprise that the Proline 3” combo has seen such wide popularity with prospecting clubs, exploration companies, and miners who require a very versatile machine in a small, rugged package. 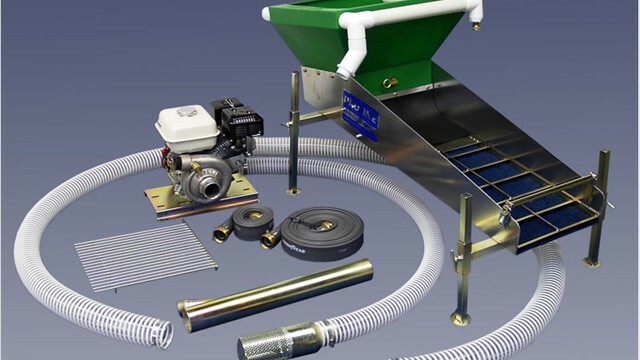 Sluice Box: 14" x 48"
Dredge Pressure Hose: 1.5" x 10 ft.
Highbanker Pressure Hose: 1.5" x 50 ft.